Where to buy? - for advice on buying the MinnowBoard. microSD Card Setup - for information on how to prepare the microSD Card used to boot your MinnowBoard. Beginner Guides - you are up and running, now what can you do?. 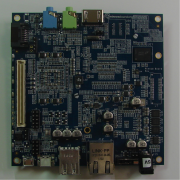 This section outlines the various components on the MinnowBoard. 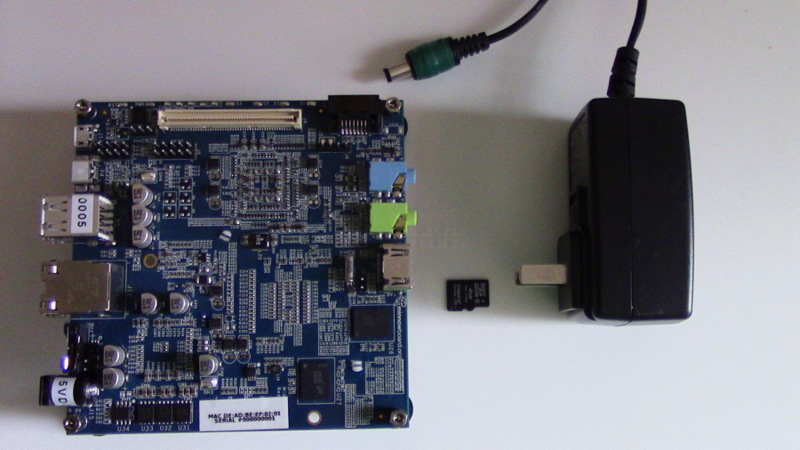 Figure -2 below annotates the important components on the top side of the MinnowBoard. Below is a brief description of the micro USB and debugger ports which are annotated in Figure -2. • Micro USB: This port can be used to access the contents of the MinnowBoard's microSD card as a removable drive on your desktop computer. 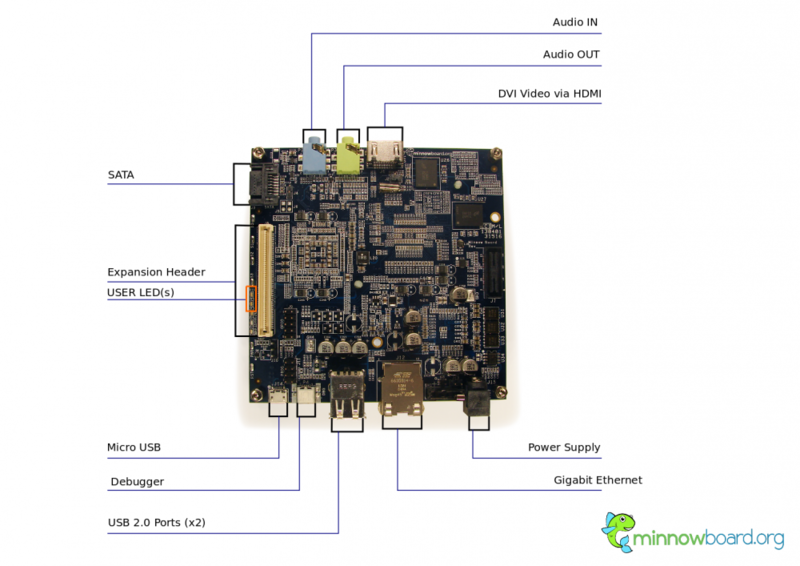 Simply boot the MinnowBoard up and connect it to your desktop computer using a micro-USB cable. • Debugger: This mini-USB port allows you to interact with the serial console of the MinnowBoard, so you can log into it and view debugging messages even when an external monitor and keyboard are not connected to the MinnowBoard. You need to use a terminal emulator on your desktop computer to access the serial console at a baud rate of 115200. This is demonstrated later in this guide in the Booting Angstrom section. Figure -3 below annotates the important components on the bottom side of the MinnowBoard. This page was last edited on 11 August 2013, at 18:13.